We hereby declare that cancellation law shall not apply to contracts pertaining to the delivery of goods which are not ready-made, nor shall it apply to products which are manufactured according to the customers express wishes or specially adapted to the personal needs of the consumer and single tuners. 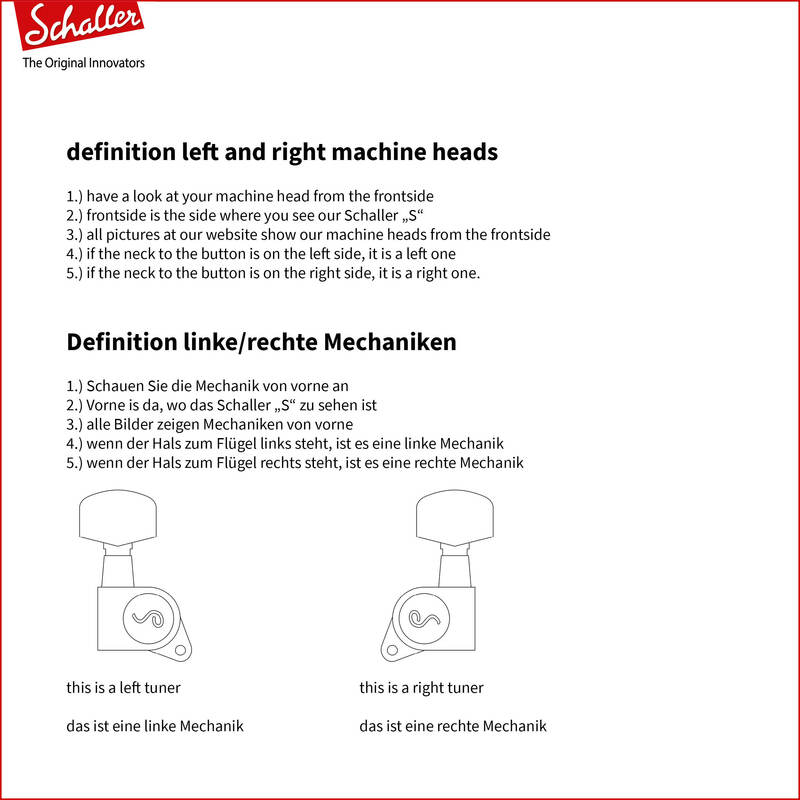 With its cutting edge Velvet-Tec* technology the all new Schaller GrandTune® is the ultimate combination of tasteful design and velvet-smooth feel and touch. Due to its revolutionary conception the GrandTune® offers a precision and longevity second to none. The avoidance of synthetic coatings makes GrandTune® a perfectly resonating entity. With its wear-free architecture GrandTune® is bound to last and shine as long as your precious guitars ever will and far beyond! Experience Velvet-Tec and find out how sound quality, tuning stability and performance define GrandTune® as the Superior Tuning Machine. 1:18 gear ratio supports precise and velvet- smooth tuning. Hyper- accurate gear joints and fittings without polymer coatings present perfect stick-slip-performance and zero wear and slackening. GrandTune® features permanently locked, sealed and covered screw joints for zero degradation and maintainance-free performance. New formula bell brass gearwheels gurantee velvet-smooth feel and touch Standard dimensions for easy installation. Countersunk screw holes for solid fit and perfect sound coupling. 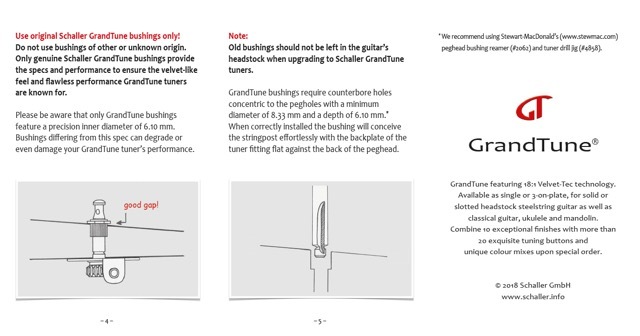 GrandTune® the most advanced and musical machine head ever built! Our GrandTune Classic deluxe string rollers feature special ball bearings for accurate, low-friction and noiseless performance. 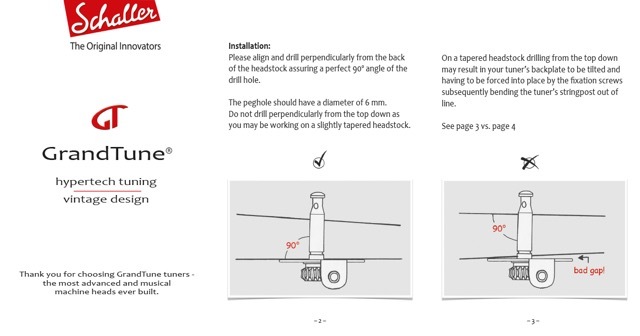 With the ball bearings diameter of 10.0 mm and the string rollers diameter of 9.8 mm they guarantee the shafts to run free and unobstructed inside the headstock bore. 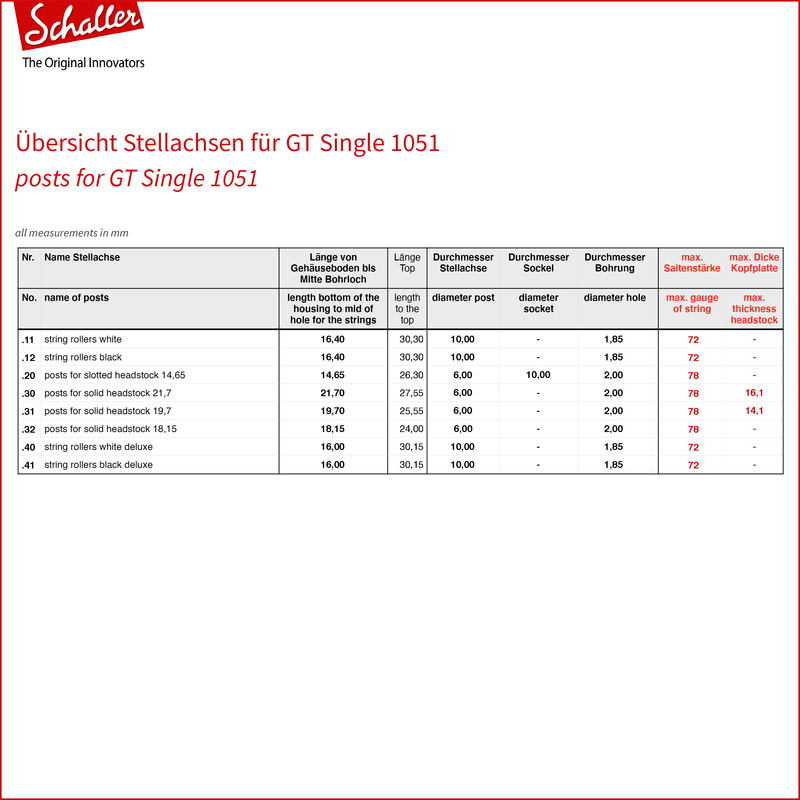 It is important to note that the deluxe string rollers ball bearings do not improve the GrandTune Classic tuners performance itself. Which is not necessary anyway. They rather help avoiding a common problem with classical guitar tuners and the contact of the rollers inside the headstock. 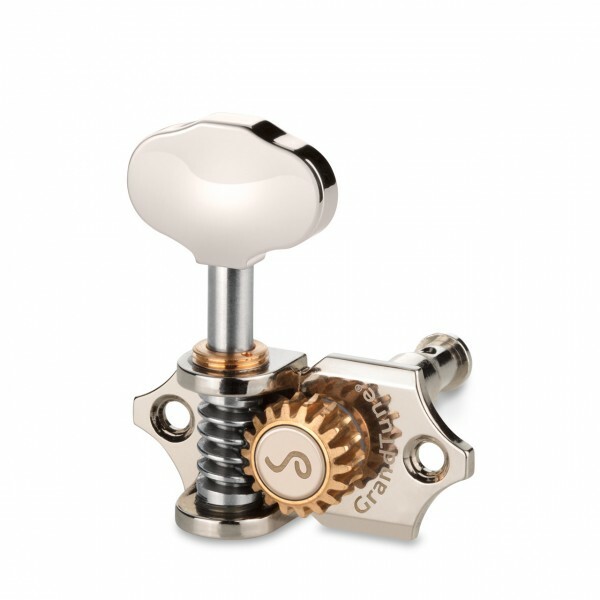 The Deluxe string rollers ball bearings effectively cure increased friction and resistance between shaft and wood often resulting in crackling and creaking noises whenever the tuners are turned. 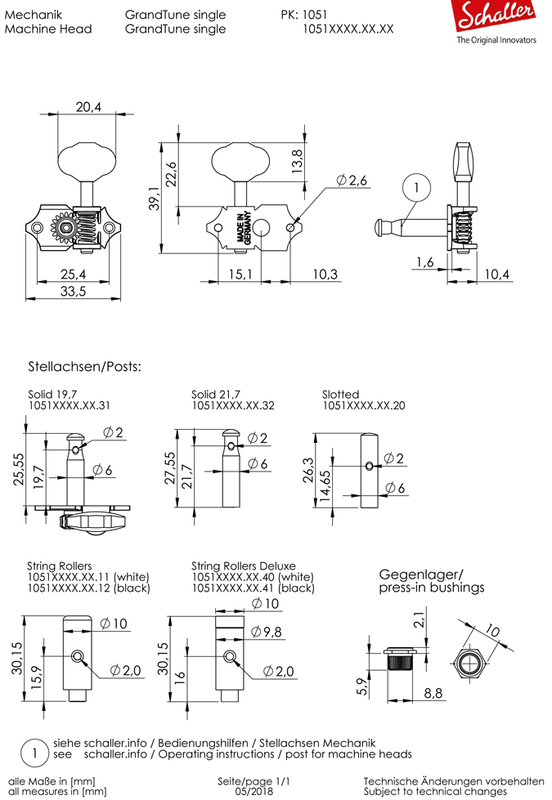 Our technical drawings show just a sample of buttons and posts. 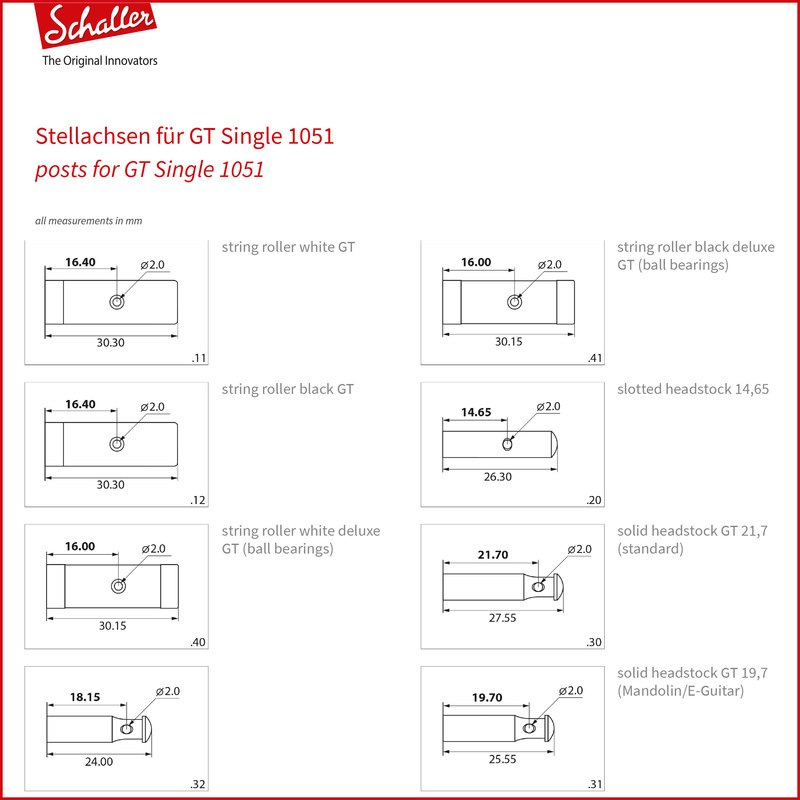 You`ll find the technical details of our posts by using the configurator chapter „posts“.